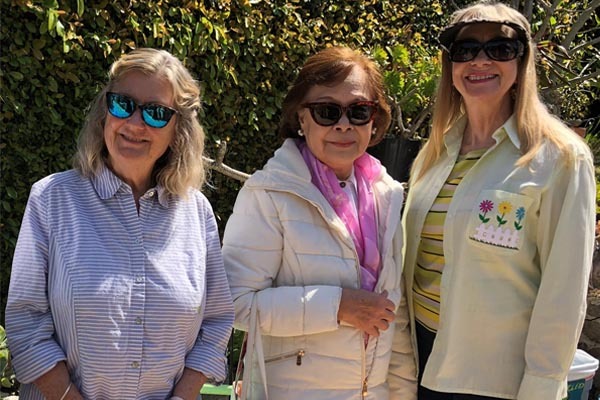 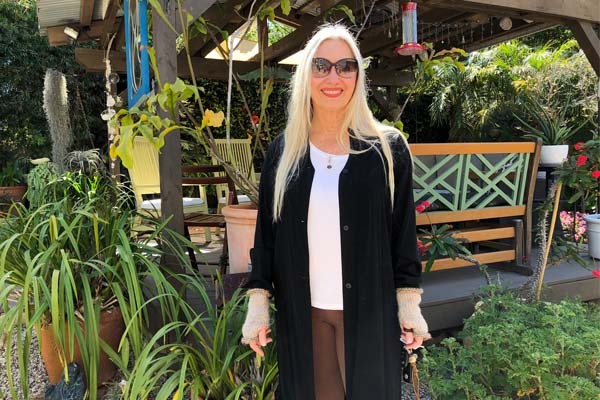 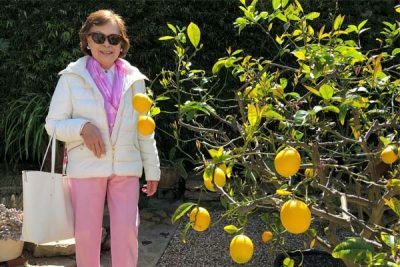 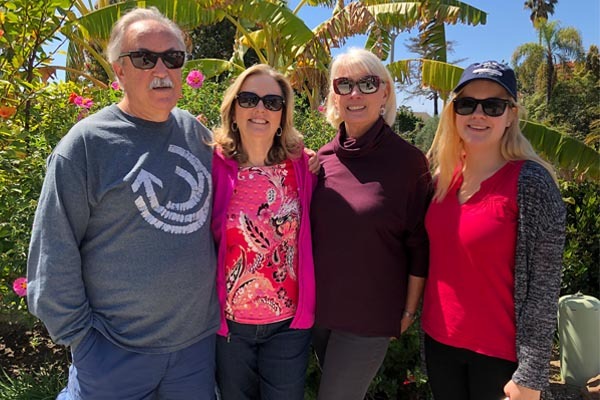 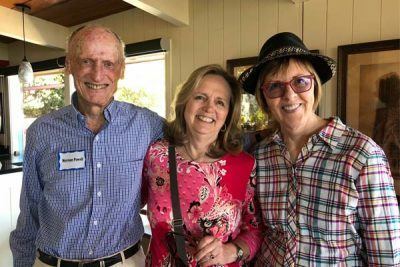 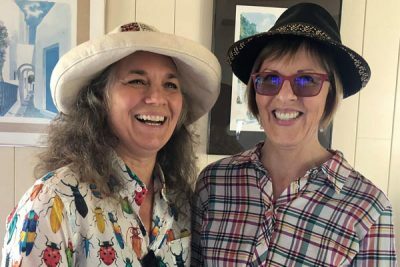 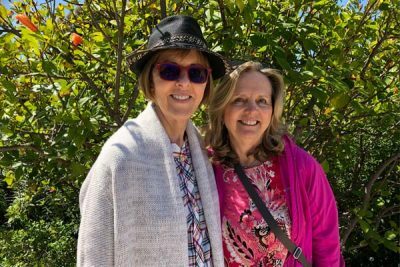 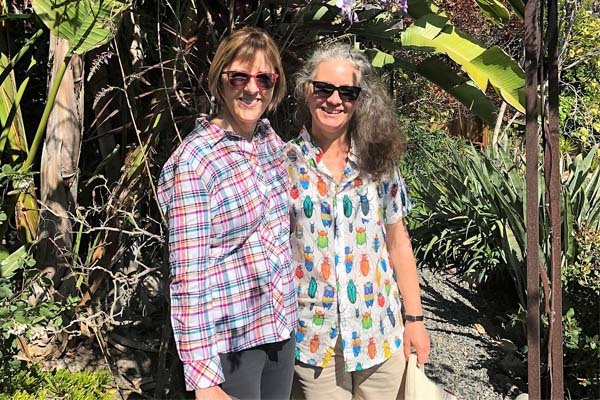 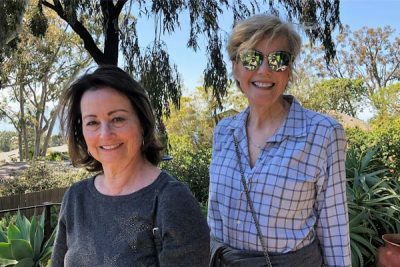 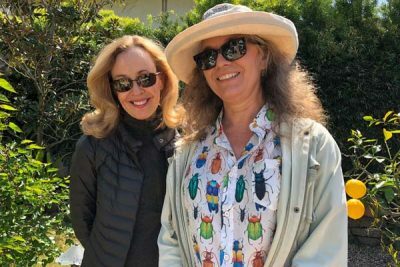 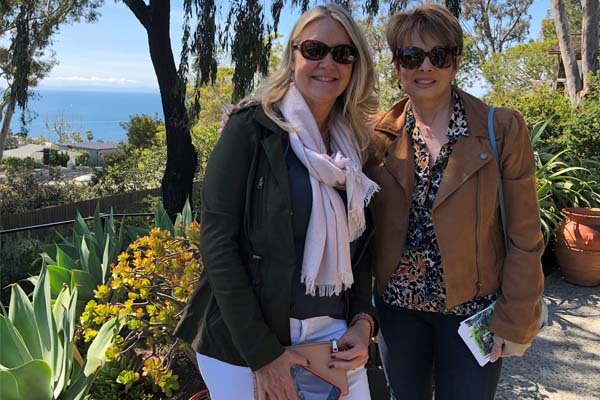 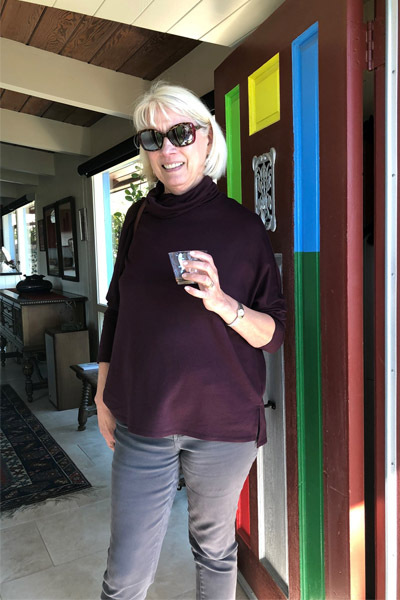 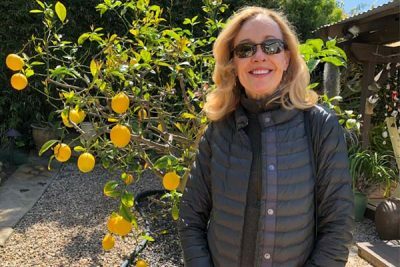 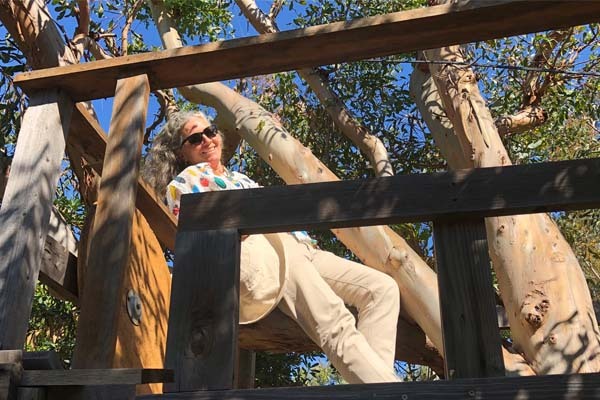 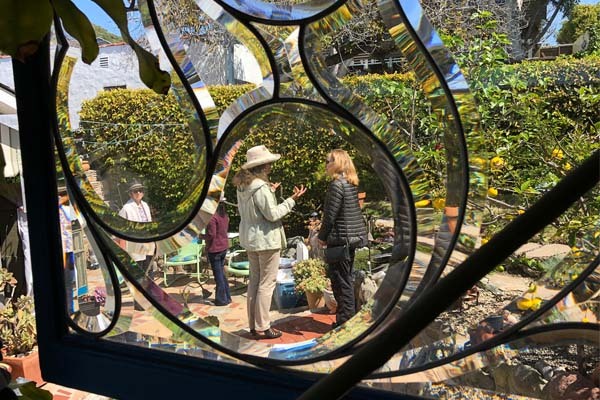 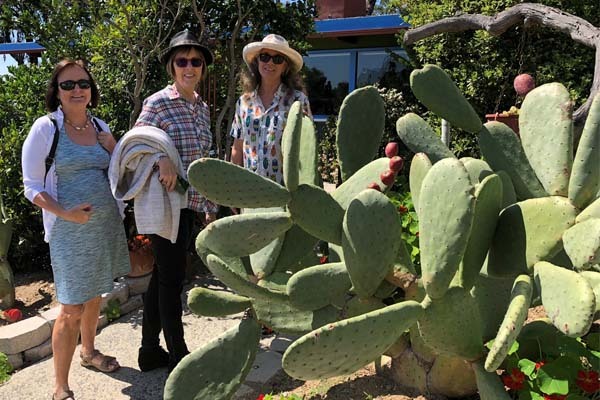 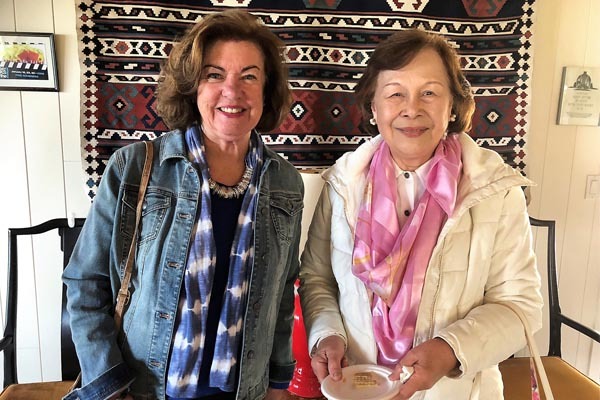 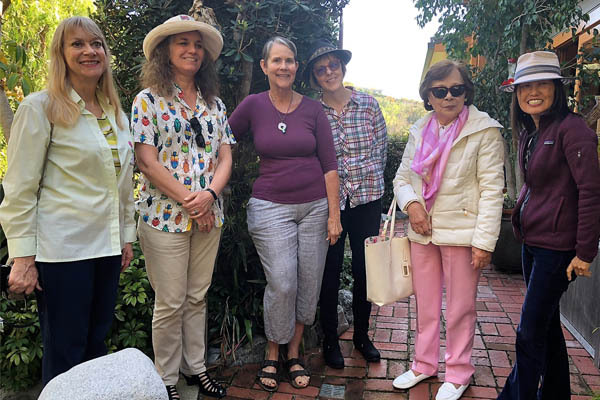 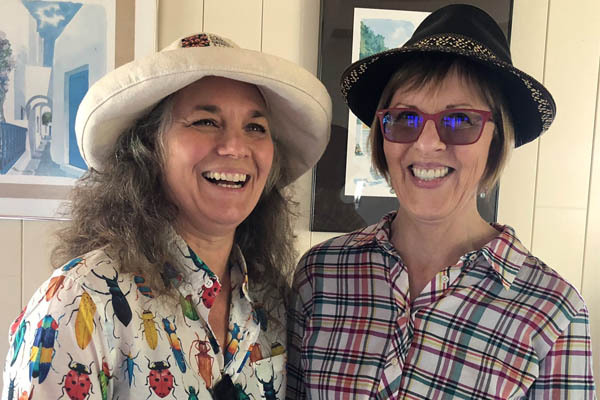 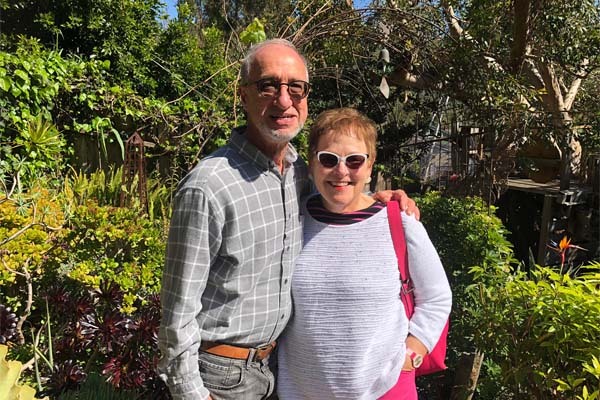 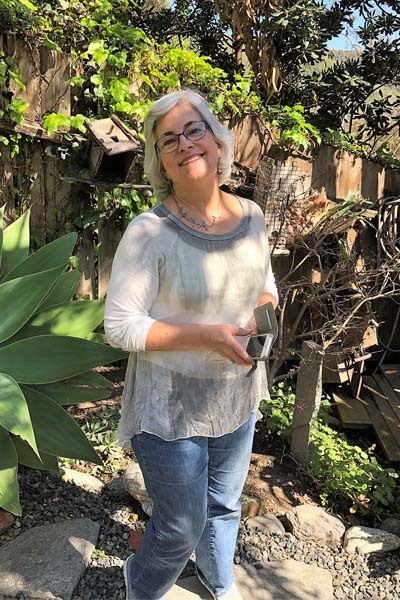 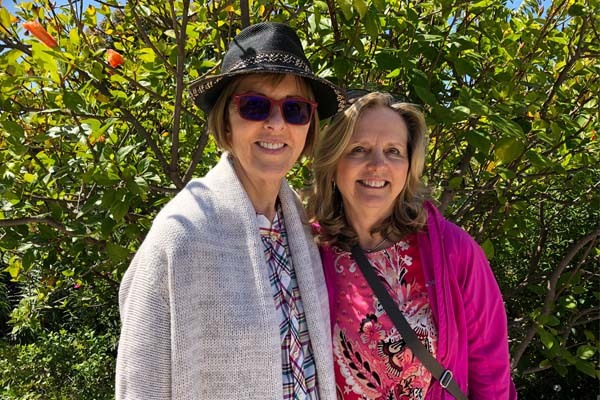 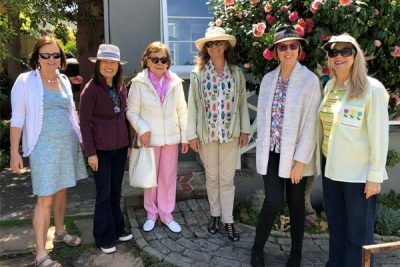 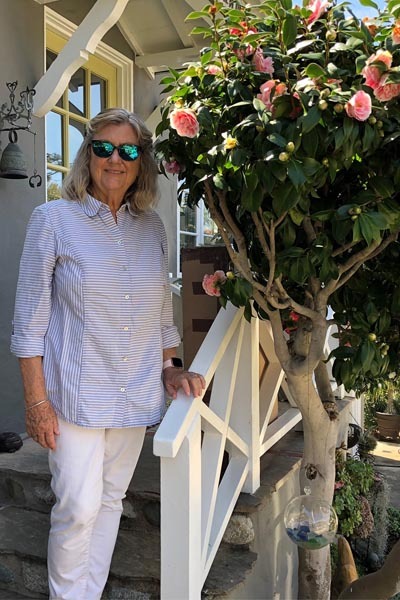 On March 22, over 30 members enjoyed the club’s Open Gardens Happy Hour from 9 am – 1 pm in Laguna Beach. 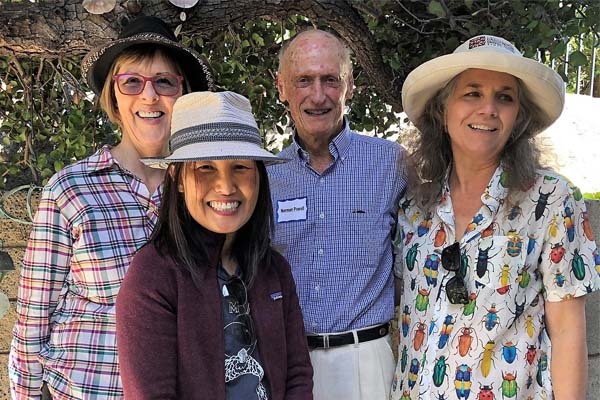 Kathleen Kane, Norman Powell and Sherry Stephens graciously opened their gardens to us and served delicious snacks, hors d’oeuvres and refreshments. 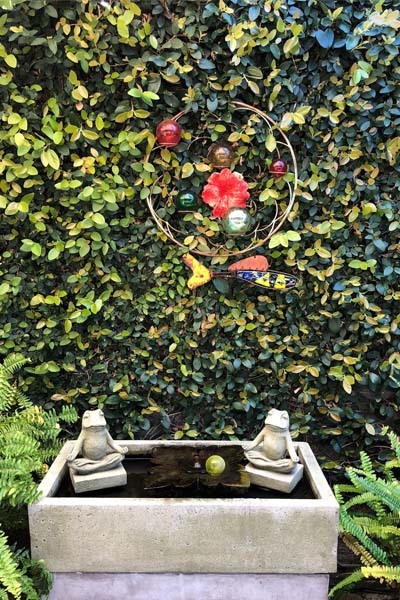 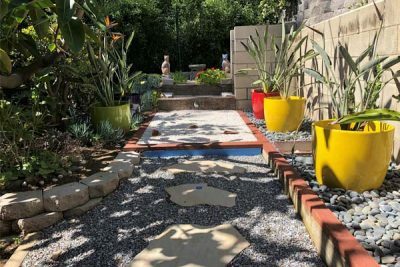 Kathleen’s backyard is a study in serenity with an eye-pleasing mix of green flora, abundant lemons and unique décor. 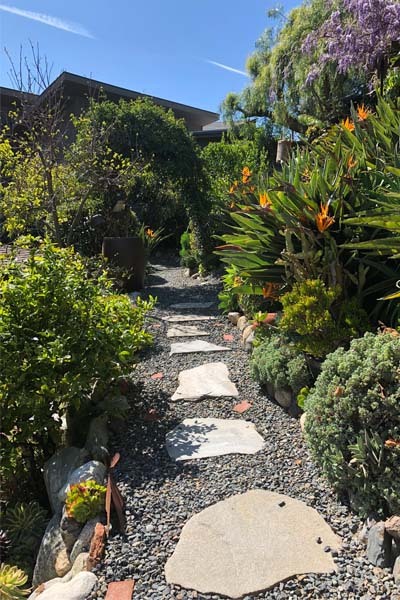 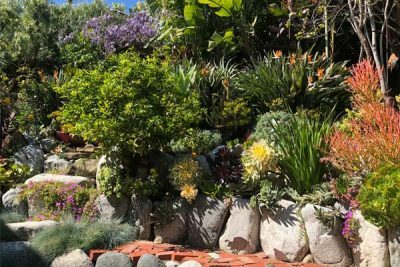 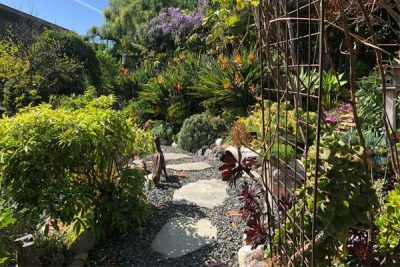 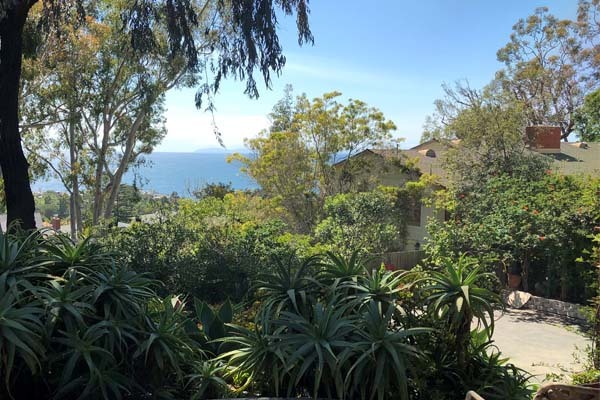 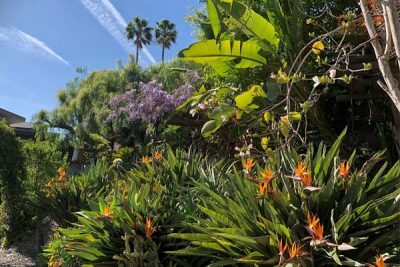 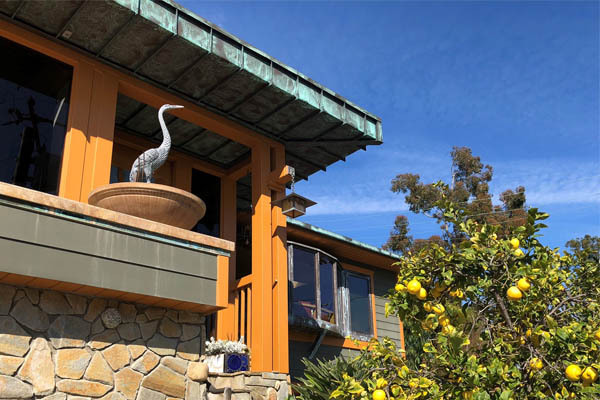 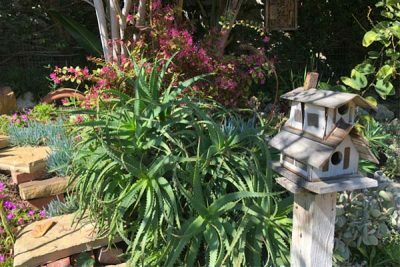 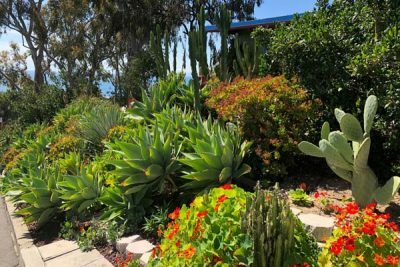 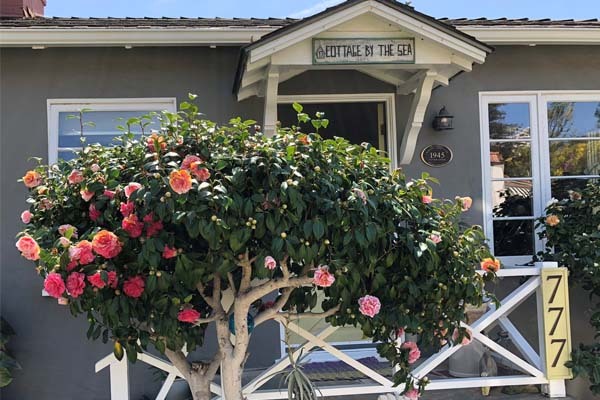 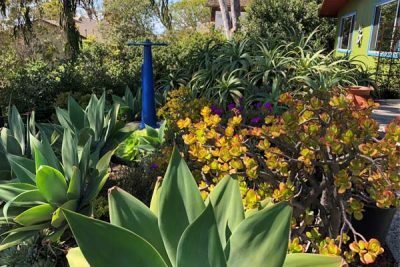 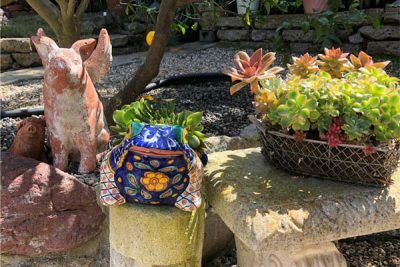 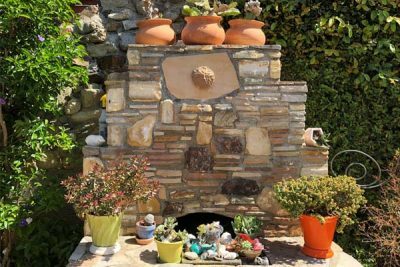 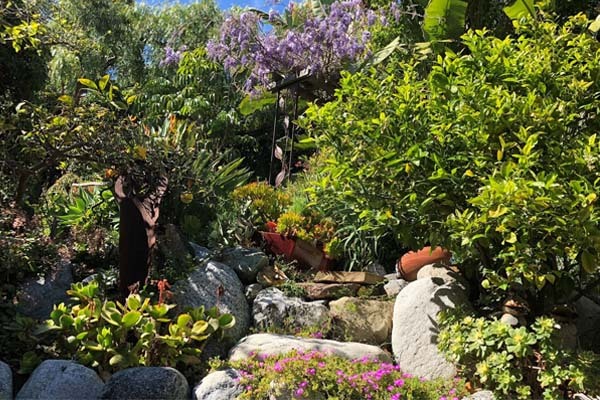 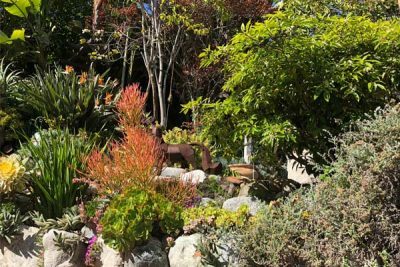 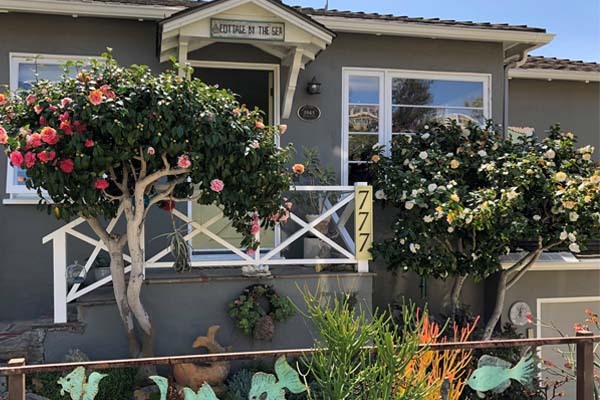 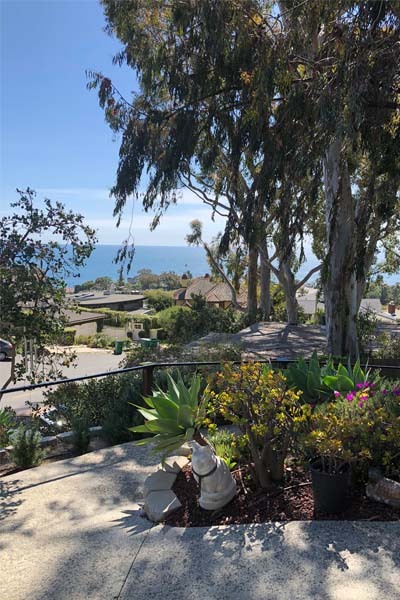 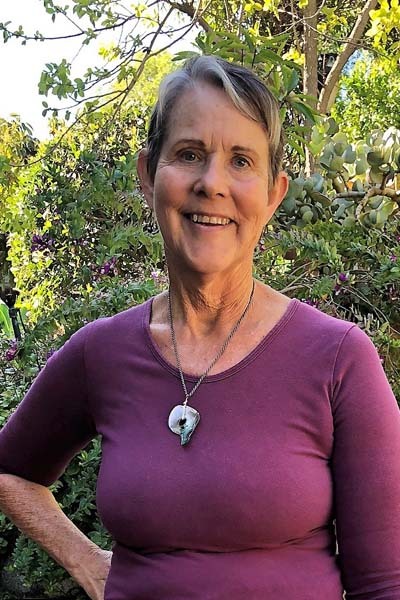 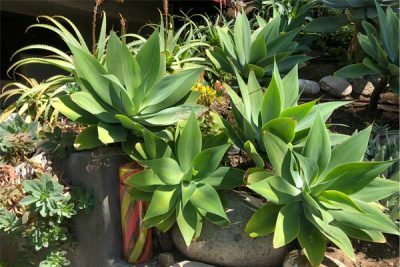 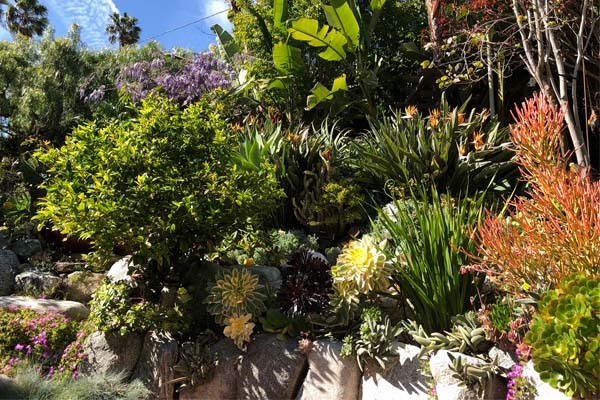 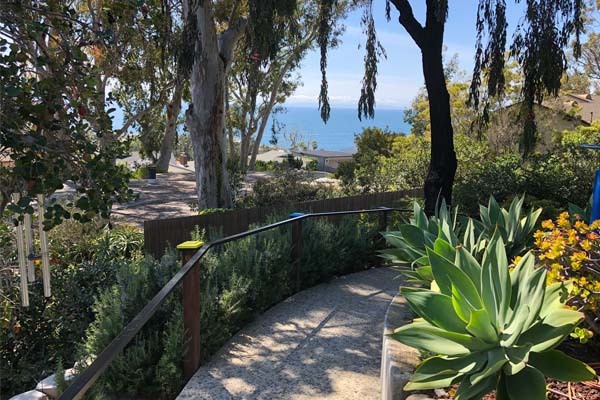 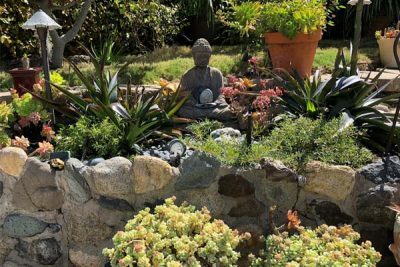 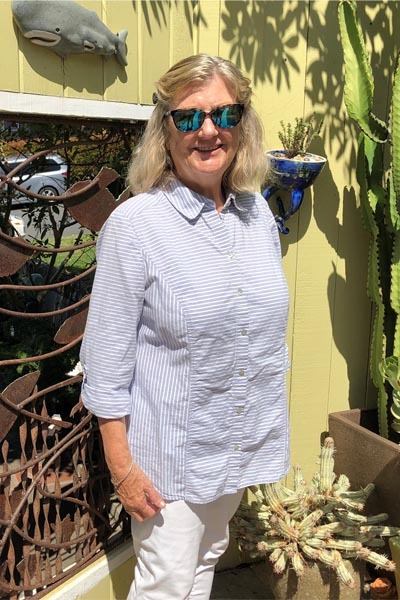 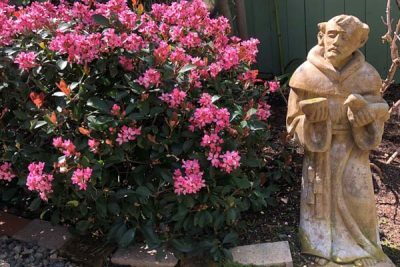 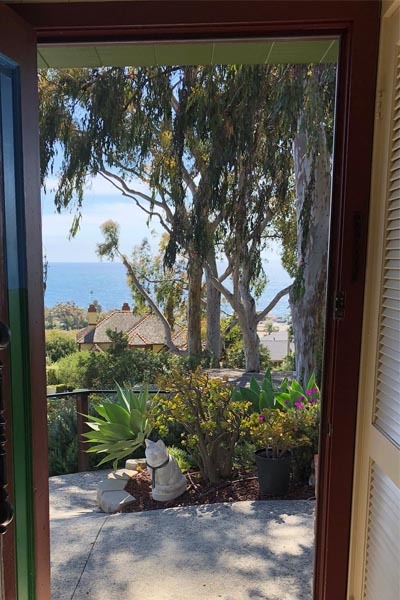 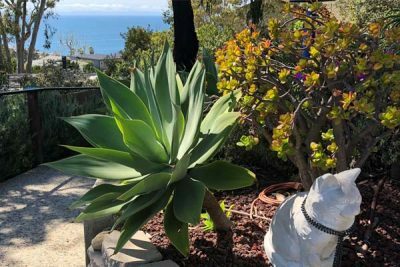 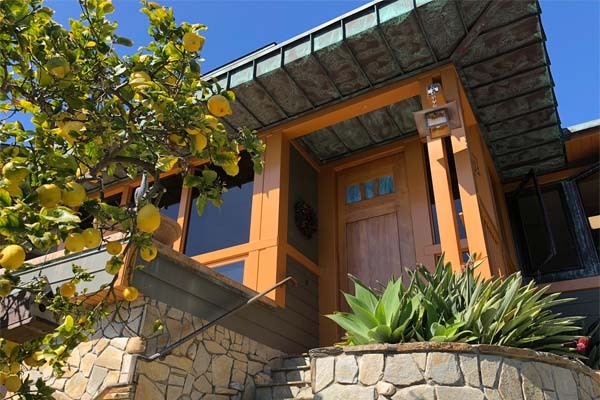 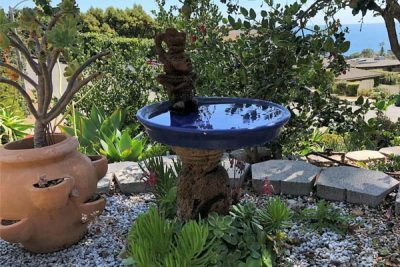 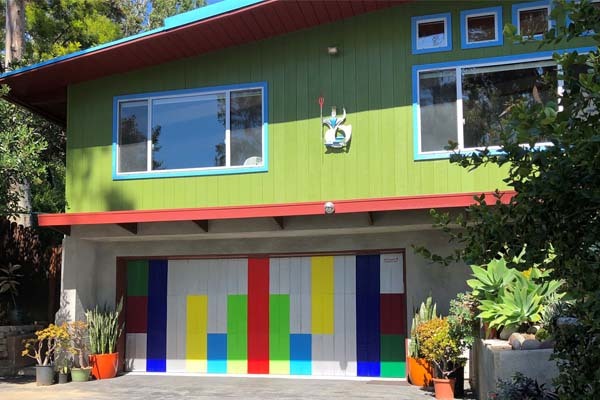 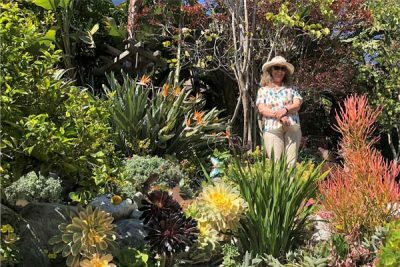 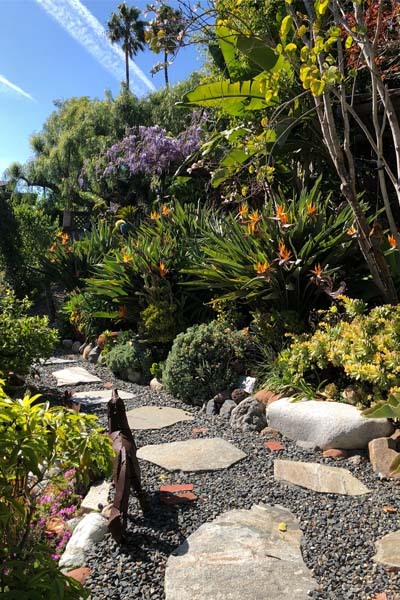 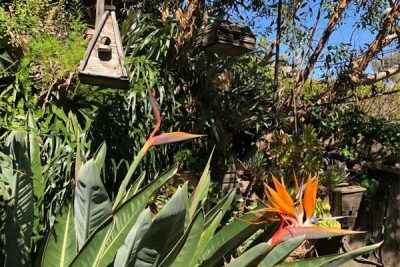 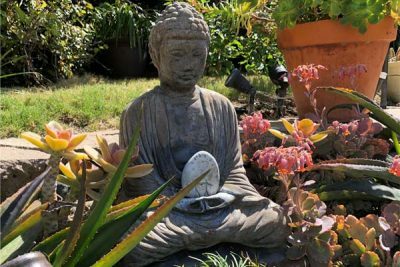 Norman’s front yard overlooks the Pacific and features stunning agaves, cacti and colorful nasturtiums. 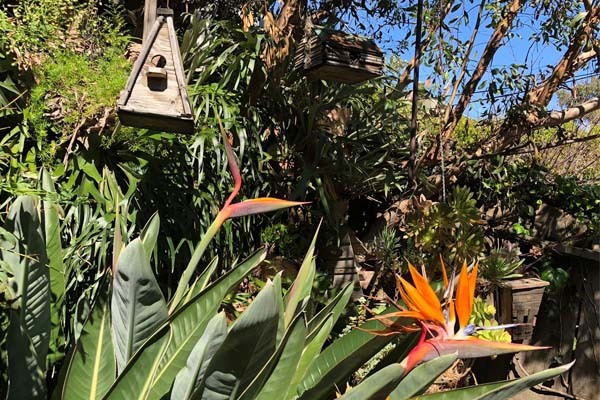 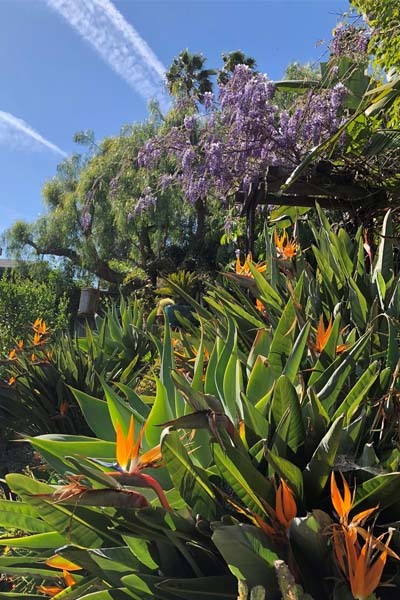 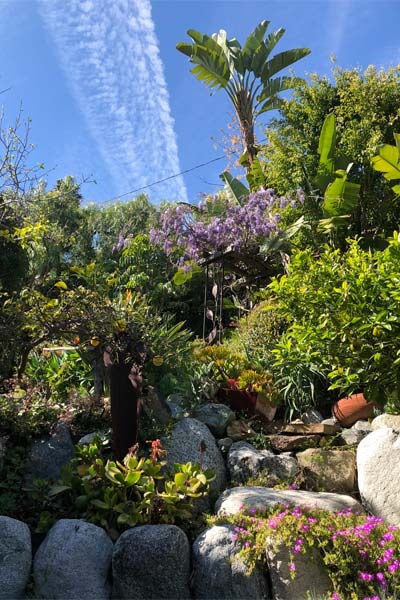 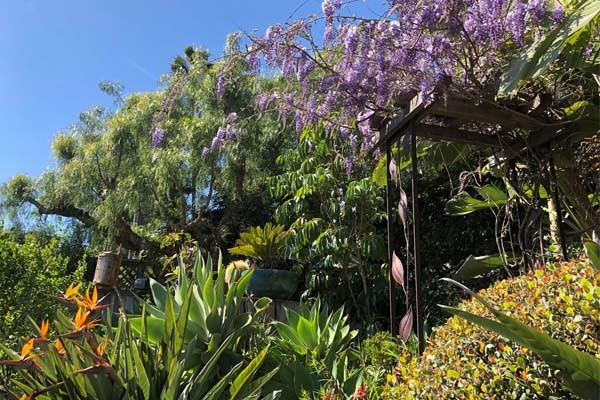 Sherry’s terraced backyard is magical and magnificent with blooming purple wisteria and orange birds of paradise. 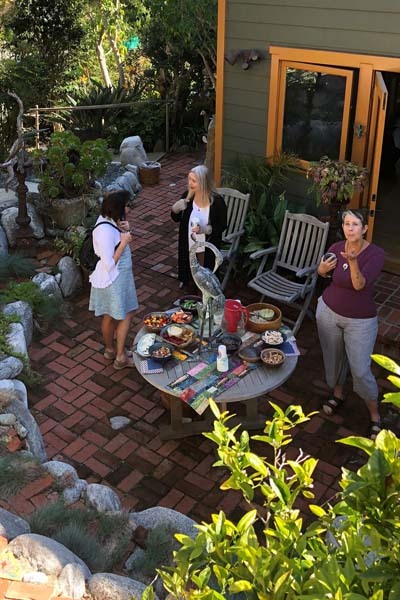 Much thanks to Shelby who arranges these fabulous events for us!